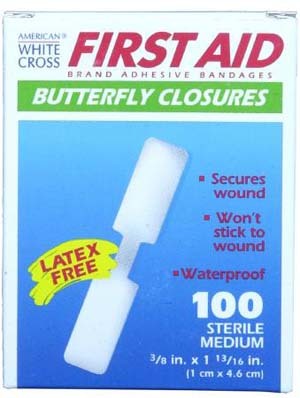 First Aid Butterfly skin closure strip. White, latex free, waterproof strips. 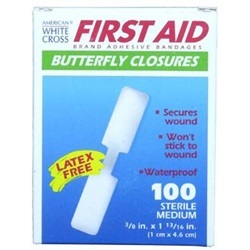 Measures 3/8 x 1 13/16" and is a white nonwoven material. Comes sterile.